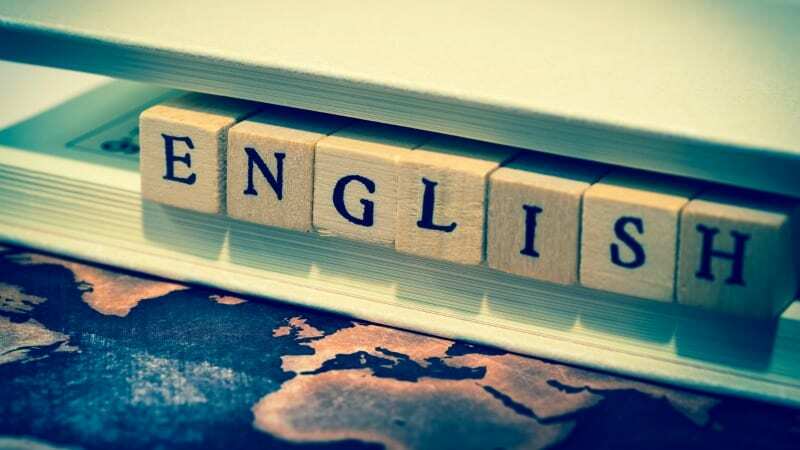 Best Websites for English Teachers … Share the List! You’ll definitely want to bookmark these! As a high school English teacher, I’m always using outside websites and resources. After all, if it helps my students and gets them excited about English, then I’m happy to try it. These are my best websites for English teachers. I’d love to hear your picks in the comments section. We’ll update this as more ideas for best websites for English teachers roll in! Teaching Tolerance is “a place where educators who care about diversity, equity and justice can find news, suggestions, conversation and support.” This is my go-to spot any time I want to make my teaching more socially aware. It is filled with well-crafted commentary about teaching social justice, resources for teachers, and inspiration to fight the good fight. See what I have written for them here. With the slogan “Meet your next favorite book,” Goodreads is a bit of technological wonder for readers. Organize shelves of books you have read, and rate them for your friends to check out. Write reviews, share favorite quotes or my favorite: have the site generate recommendations for you based on things you have liked in the past. Great place to send kids in need of a good book. So much more than just a place to catch cheaters, although it is very good at that. When students submit papers via Turnitin, those papers are tested against the internet as well as peer submissions past and present. Beyond that, it offers all sorts of revision tools to help improve student writing. Handouts for virtually every writing issue your students could come across. Videos too! This site offers easily accessible lists for when a student struggles with a particular skill. Just pull up this page and click away. Let’s be honest: None of us really loves teaching grammar. In most classrooms, there are huge differences in what students have already mastered and what they still need to learn. Enter NoRedInk. Here students get individualized instruction and practice with very little time and effort from teachers. The site does all the hard work for you. I just started using this one, and it is awesome. I guess that is why their slogan is “Making Learning Awesome.” Using Kahoot, it is simple to “create, play and share fun learning games for any subject, for all ages, for free!” You make up questions, or find a game that already exists, and students answer using their cellphones. With leaderboards and podium finishes, students are totally engaged in what used to be boring reviews. This may be my favorite site for teaching students how to write and revise. Using my iPad, I am able to narrate over and annotate a piece of sample writing, explaining the revision process. For better understanding of how this one works, check out one I use for teaching introductions here. “Publish your passions, your way.” I have used Blogger for years as the home of both my class and personal blogs. Easy to set up. Easy to post. It allows you to create a place where you can disseminate content to students, engage them in conversation outside of class hours and supplement classroom instruction. I admit I long for a bromance with John Green. Everything that guy writes is like kryptonite for a reluctant reader. Almost as good as his books are his CrashCourse videos. With remarkable animation to support witty and insightful overviews, his videos are a great asset in the classroom. This makes the list of best websites for English teachers for its collection of great visual content. Use it to find film, animation, photographs, and picture books that add to literary themes. This website is focused on teaching English as a foreign language, but the free exercises, tests, vocab, and more could be useful in any classroom. What are your picks for the best websites for English teachers? Let us know in the comments and we will add to the list! Knoll is a public school English teacher of nearly two decades. Outside of the classroom he spends his time working as a freelance writer or exploring the outdoors with his wife, two boys, and dog. He loves the subject he teaches so much that he named his dog Atticus and got a half-sleeve tattoo depicting a scene from Maurice Sendak's WHERE THE WILD THINGS ARE to celebrate the birth of his kids.